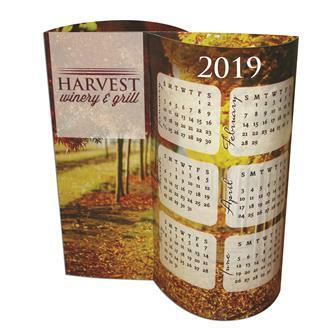 Digitally printed custom designed Calendar table tent decoration. Made from 14 pt., high density, white paper board, liquid laminated for a high gloss finish. A most unique way to display custom messages or logo. Highly visible and perfect for restaurants, businesses, bars, concerts, weddings, parties and special events. Size : 5" x 5 3/4"